Make no mistake about it, Deep State fingerprints are all over the latest attack against innocent New Yorkers by an Uzbek patsy who in no time it will be revealed was likely trained by FBI agents loyal to James Comey and Robert Mueller. Plotting to implement internal passport system? As with most terror attacks committed on US soil, FBI informants and undercover agents often provide the explosives, the money, and even the keys to terror weapons in order to gain promotions after apprehending the very individuals they incited to mass murder. Robert Mueller, before showing his true colors as hatchet man for the Deep State, was notorious for encouraging agents to entrap the feeble-minded into incriminating themselves with ridiculous conspiracies involving imaginary Al-Qaeda members. 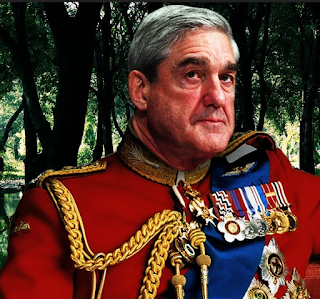 Using tactics that would have probably been prohibited in the Soviet Union, Mr. Mueller and his Deep State cohort of thuggish prosecutors have essentially become the Praetorian Guard of the Republic, deciding at-will who can be taken down from power and who can be silently allowed to rise to prominent positions. The level of power which Mr. Mueller and his conspirators have given themselves is unparalleled since Roman times, and it may already be too late to prevent civil war or the collapse of social order in the continental United States. The Deep State is now most probably calculating that the best way to prevent the masses from descending on Washington DC to protect President Trump from being illegally removed from the White House is by implementing an internal passport system that severely restricts domestic travel within the Homeland. Of course, self-driving cars will be allowed to drive around without passports in order to encourage people to abandon their current vehicles, and much like happened to Michael Hastings, anyone suspected of wanting to Make America Great Again will be suicided at high velocity against a tree. In much the same way that President George W. Bush instructed President Barack Obama to continue his secret drone targeted assassination program during the transfer of power from one former CIA asset to another, the Deep State was instructed to expand the self-driving vehicle assassination program. It is only a matter of time before large vehicles are no longer allowed on roads unless they are self-driving, and eventually the masses will be conditioned to accept that preventing them from driving themselves is for their own safety, even though the very clear objective is to make it impossible for us to travel en masse to Washington DC to protect our democratically-elected President from a Deep State coup.